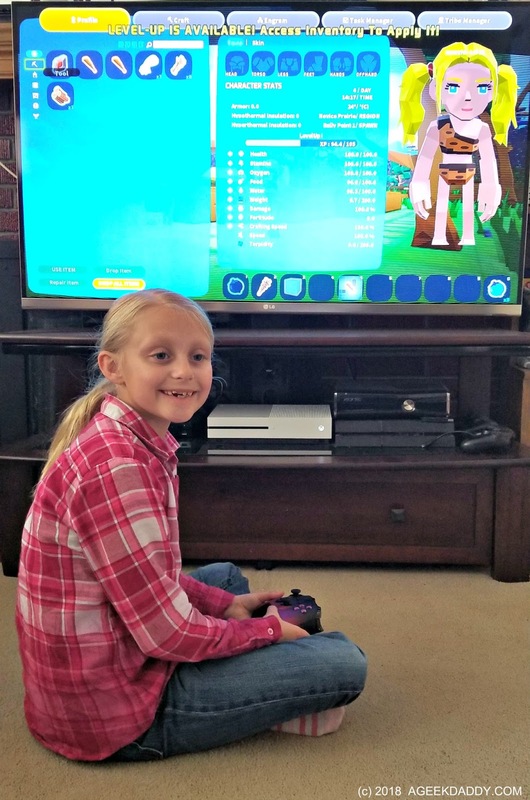 My kids have been off school this week for Spring Break and are having a great time being some of the first people to play the new open world voxel-based sandbox survival video game PixARK on our Xbox One. Thanks Snail Games for sending a free early access pass our way! 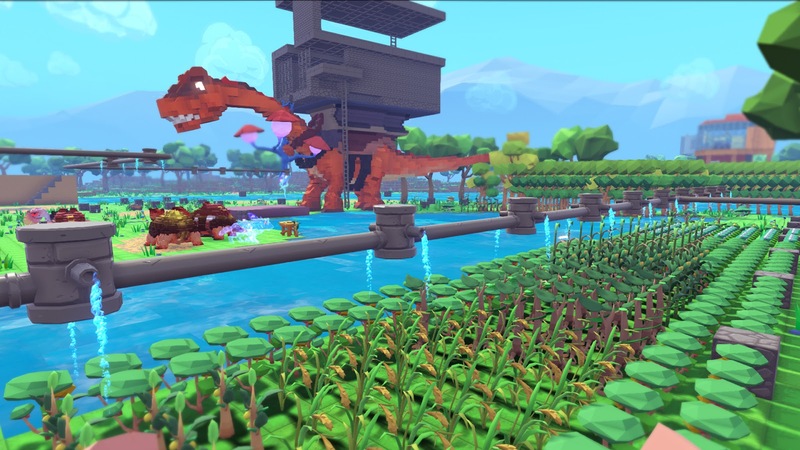 In PixArk, players find themselves on a mysterious island filled with dinosaurs and mythical creatures where everything is built out of three-dimensional voxel cubes. To survive you must hunt, grow crops, build shelters and craft items to overcome vicious creatures and natural hazards. Being a sandbox style game there isn't a structured script to play through; but rather players make their way through open worlds tackling randomly generated landscapes and challenges which makes every time someone plays unique. You start off the game with just an animal skin to wear and your wits to rely on. By developing resources and skills though, players can learn to build high tech and magical tools as well as design structures they can build that can range from basic shelters to avoid the elements to magnificent fortresses to serve as a home base. Plus there are over 100 dinosaurs and other creatures that can be tames, trained and ridden. 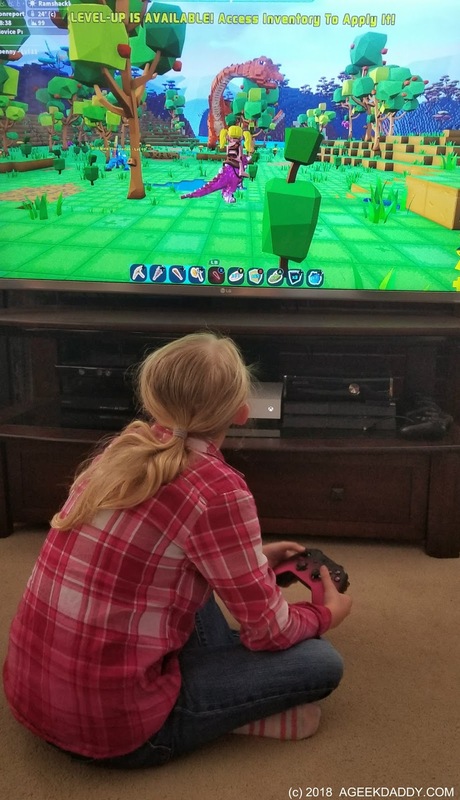 PixARK can be played either as a single player game or in online multi-player mode where you can work cooperatively as a team to take on opposing tribes of other players to be rulers of an island. Player characters can be customized to be male or female with different available selections for hair styles, facial features, clothing outfits and more. My daughter liked pig tails were an option to choose from when creating her character. As you progress through the game, there are ongoing ways to enhance the functionality and styling of the outfit your character wears. Acquiring new abilities, clothing and tools allows players to begin crafting their own dream world with infrastructure and structures to civilize a game map's wild environment. If you are interested in playing the game now it is available for $24.99 on Steam Early Access and Xbox Game Preview. Snail Games will be using this early access period to gather feedback for eliminating potential glitches and making additional improvements before the PixARK's final release later in 2018. The game will eventually be available via retail and digital distribution for PC, Microsoft Xbox One, Sony PlayStation 4 entertainment system and the Nintendo Switch. Even though it is a pre-release version of the game, PixARK has still been a real hit with our family. My kids have really been excited to explore the various landscapes that include arctic ice fields, deserts, jungles, mountains and swamps that are filled with amazing animals and monsters to discover. They've been thrilled about taming dinosaurs and riding them all about. That is probably their favorite part of the game. Plus they've been having a lot of fun imagining up and building their own unique castles. The kids are only in the early stages of the game too so there is much more things to discover and excitement to come! 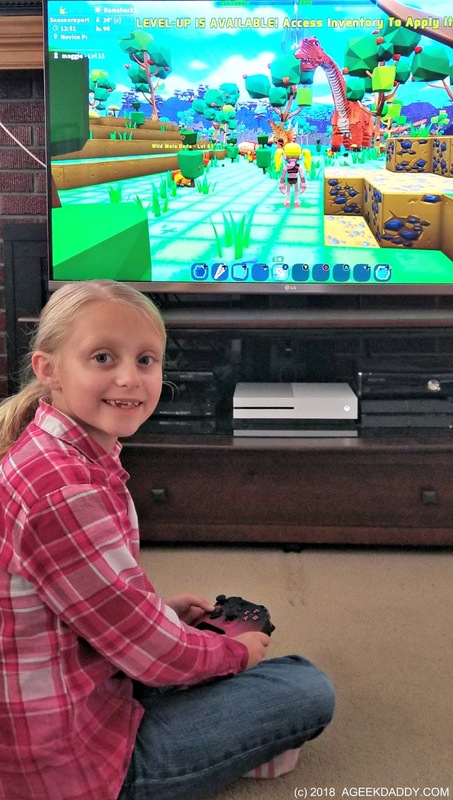 As a parent, I appreciate that pixARK involves problem-solving, has strategic elements, promotes STEM concepts, and its sandbox format provides a lot of freedom to utilize one's creativity and imagination within its gameplay. You won't achieve success in this game just with brawn, players need to flex their brains to get ahead. Though there is some battling and dueling that takes place as part of the action in the game's adventures too. In the end though this game isn't about winning or losing but rather having fun exploring and building your own fantasy world.